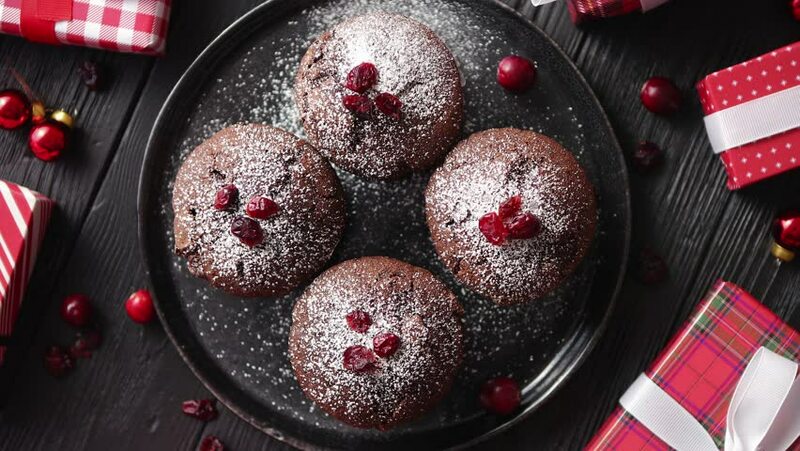 Christmas chocolate delicious muffins served on black ceramic plate. Sprinkled with powder sugar. Cranberries on top. Xmas gifts and decorations on sides. 4k00:10Great background of fresh cherry's berry rotating close up. Footage will work great for any videos dealing with summer, fun, relaxation, healthy nutrition and much more.